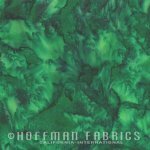 Hoffman’s Hand-Dyed Watercolor Batiks are the standard in the industry for exceptional color selection and premium quality 100% cotton fabric that feels silky smooth. 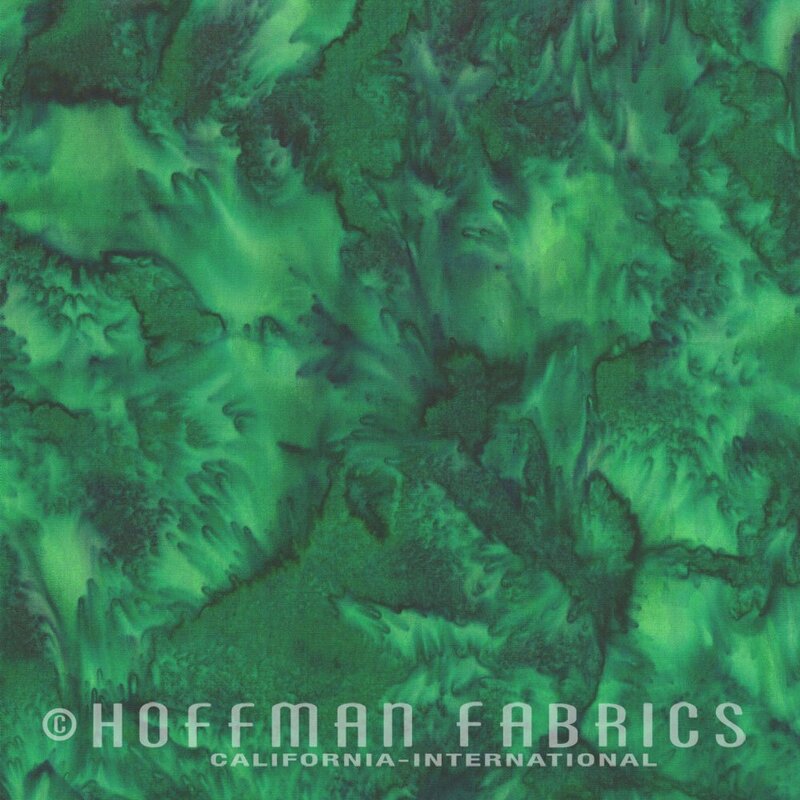 This beautiful marbled, watercolor effect is lovely in dark green. It’s a perfect fabric to add handmade beauty and depth to any project. Bali Batiks are perfect for almost any project imaginable from swimsuit cover-ups, skirts and blouses, to quilts, tote bags, table runners and home décor. It’s tightly woven construction is perfect for those ¼’’ seams in quilt construction!